Safety First – Underinflated tires might cause an accident that could kill you. Money – Underinflated tires increase tire wear, which could chop a year or more off the life of the tires . At an average of cost $400 to $600 for a set, you’ll save more than it costs for the gauge. 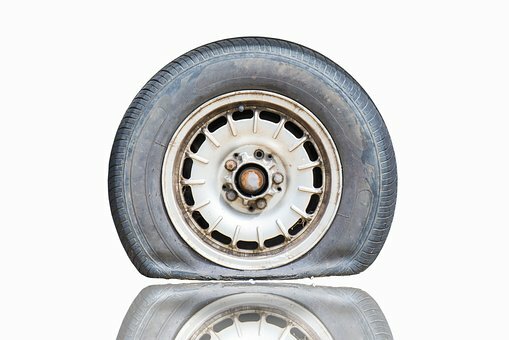 Environment (and More Money) – Underinflated tires waste gas. The folks at Edmunds estimate that for every 3 psi below spec, you burn 1 percent more fuel (and add 10 percent more tire wear). It’s not uncommon to be 10 psi below spec, which would waste 3 percent more fuel and increase tire wear by 45 percent. That’s enough for an extra latte or two every month! The AstroAI Digital Tire Pressure Gauge is rated to 150 PSI. The backlit LCD display is easy to read, even in bright daylight. For night use, or in a dimly lighted garage, there is an LED light around the nozzle ring to make it easy to find the tire nozzle. It’s a non-slip, pistol grip type gauge. Use this for your car, truck and bicycles. As of publication, you can get a 2-pack for under $15, which makes this affordable enough to put one in each glove box, or to have one in the car and one at home. It is simple to use with well made construction, and has all the features needed for this gauge to make it to the top of our list. For specialty rims or if you simply prefer a hose attachment, the JACO ElitePro Tire Pressure Gauge is our runner up for its rugged design. The analog dial will keep working even after getting dropped and banged around. The JACO is rated to 60 PSI, which is sufficient for cars, SUVs and light trucks. The other great features include a swiveling head, a pressure hold & reset button and a built-in air bleeder valve. Another benefit is that this doesn’t need batteries, like the other gauges on this list. The function is basic, and the implementation is excellent. The Craftsman Programmable Digital Tire Gauge has a straight-push nozzle, with a screwdriver type grip. With the extra large back-lit LCD, this is one of the easiest to read while checking tire pressure. It comes with an embedded flashlight for readings at night or dimly lighted areas. One feature that sets this apart from the others, and helps justify the higher price, is the “Air Bleed function”. With this, you can program the pressure for your specific tires and then add air. When you apply the Craftsman to the tire nozzle, it will measure for exact pressure, and releases air until your programmed pressure is reached. A beep tells you when the gauge has locked in the pressure reading and you can take it out. Last, but still a great choice for the job, is the PrimeTrendz Talking Tire Digital Pressure Gauge. We like this for the novelty of having it tell us the tire pressure, as well as showing it on the built-in LCD display. Rated to 99 PSI, with a 0.5 PSI accuracy, this is one to keep in the glove-box. The biggest advantage to the talking tire gauge is that sometimes the valve stem is in position so that its difficult to take see the display when taking a reading. It’ll tell you the pressure, no need to read the display. Problem solved! And at this price it makes for a great gift. What Can A Laptop Offer at Low Budget?